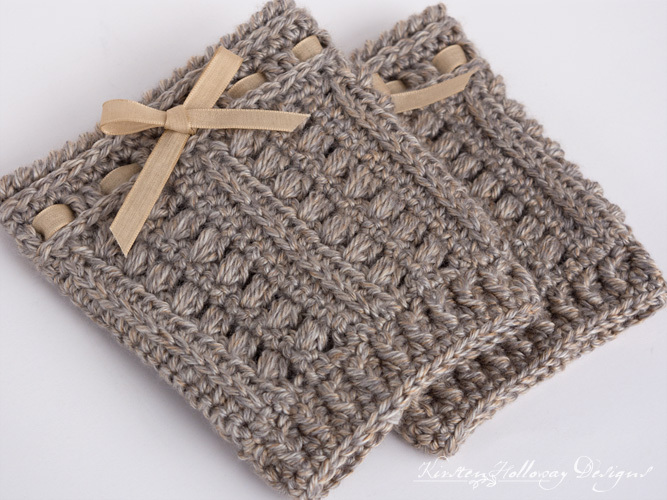 The crochet pattern for these rustic Sugar Maple boot cuffs is quick and easy to make, so there’s no guilt involved in taking the time to make something for yourself for once! 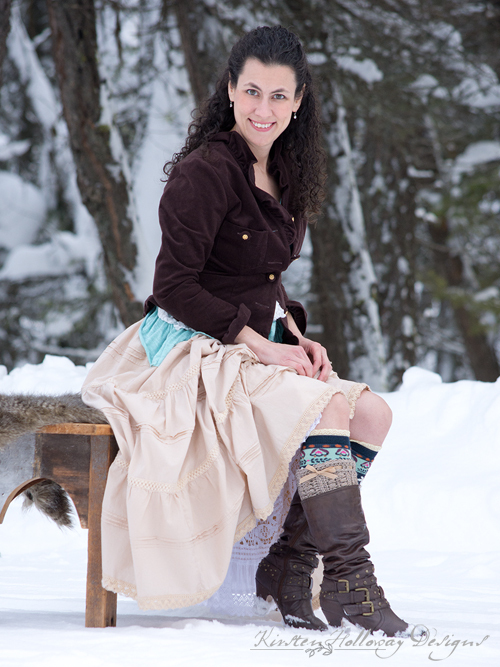 Dress these boot cuffs up with the addition of cute lacy socks underneath, or wear them “as is” for a functional look that is anything but boring! Because these are designed with small repeats, it should be fairly easy to make these to fit a variety of calf sizes. I’ve included rough estimates below, in the notes section. Finish them with ribbons, or crochet a tie and put small pom-poms on the end for a completely different, yet totally cute look! Aren’t these adorable? There are so many fun ways to wear them! I know they’ll look great on you! Small Puff Stitch: YO, insert hook into stitch, pull up a loop, YO, insert hook into same stitch, pull up a loop 2 more times. YO and pull through all 7 loops. 6 ½” tall when completed. Width will vary based on your calf circumference. ch-1 at the beginning of the row/round does not count as a stitch. Repeat rows 3 to 8 until the piece wraps around your calf, leaving approximately a 1” gap. Note: each repeat should be 2 1/4 inches long. Repeat rows 3-6 one more time. Fold rectangle in half, and use tail to sew up the side of the cuff. Attach yarn to one end of the cuff. Row 2: ch 1, working in the 3rd loop of hdc, dc in each stitch around. Join with sl st to first hdc. Your stitch count should be the same as it was in row 1. Row 3: ch 1, hdc in each stitch around. Join with sl st to first hdc. Your stitch count should be the same as it was in row 1. Row 4: ch 1, working in the 3rd loop of hdc, hdc in each stitch around. Join with sl st to first hdc. Your stitch count should be the same as it was in row 1. Attach yarn to other end of cuff. Row 1: Evenly space the same number of sc stitches as you did hdc stitches at the top of the cuff. For instance, if your top number was 40 then your bottom number should also be 40. Row 2: ch 1, FPhdc around first stitch, BPhdc around next stitch *FPhdc around first stitch, BPhdc around next stitch* join with sl st to first FPhdc. Your stitch count should be the same as it was in row 1. Row 3: FPhdc around first FPhdc, hdc in next stitch, *FPhdc around next FPhdc, hdc in the next stitch* Join with sl st to first FPhdc. Your stitch count should be the same as it was in row 1. Weave ribbon through the top of your cuff. Put the boot cuff on your leg, and tie the ribbon. Cut it to the length you’d like. If you are gifting this to someone, leave enough length for them to trim off if they would like. Crochet a chain 24” long (or the length you prefer), sl st back along the chain. Fasten off and weave in ends. Make 2 of these. Thread them through the row of dc near the top of the cuff. Make 2 small pom-poms and attach them securely to the ends of the ties. A special thank you to Kathy of ELK Studio for letting me participate in her Make it for Me event this year! Find more must-make looks on her website. You are welcome to share the link to this pattern, using one image of your choice, on your site, but please do not share the written patterns themselves, or use additional images. If you sell finished items online, please do not use my pictures for your listings. I’m positive that your work is of high enough quality for you to sell the finished piece. Have confidence in your abilities! ♥ Thank you! 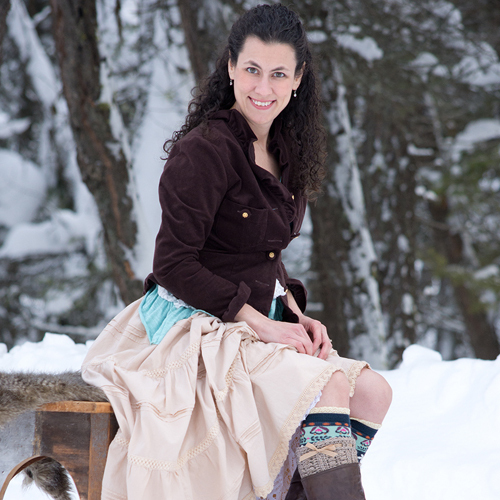 Gorgeous and out of the ordinary boot cuffs! And the outfit you styled it with is a perfect match!